With over 5 million organizations on board, Google Apps has become a central tool set for today’s cloud-forward companies. For IT administrators, Google Apps is managed via the Admin console, which serves as a pseudo-directory to manage employee access to Google Apps in addition to their basic contact details. According to Google, the “easiest way to add user accounts is to add them individually in your Google Admin console.” Other options are available as well, such as importing multiple users via a csv file, or inviting users by email to create their own usernames and passwords. These options serve just fine for the most basic setups. But they fall short for admins who are managing more than just Google Apps profiles or who are frequently on-boarding or off-boarding users and also need to provision user accounts for server access to things like Amazon Web Services or Google Compute Engine, WiFi networks, or other IT resources. 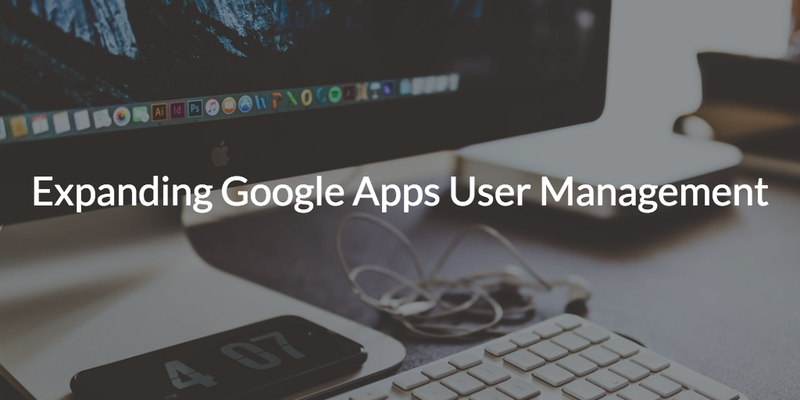 These admins need a better way to expand user management for Google Apps. If you already have an LDAP directory setup, you’re in luck… kind of. Google Apps Directory Sync (with the addition of Google Apps Password Sync) does allow for a bridge between your LDAP directory and Google Apps, but it’s less-than-ideal. Our guess is that a full-blown, on-premises solution like LDAP is either not something you have or is something you would rather avoid. Another route administrators take is to leverage APIs that integrate with Google Apps for user management. There are an array of SSO providers out there that have done much of the heavy lifting, expanding your Google Apps users to a huge selection of hundreds of other web-based / SaaS applications and simplifying provisioning and user management as well. But this is still a limited solution. It acts like a directory but doesn’t offer the full security and management capabilities that you want in directory services. The ability to touch WiFi points, for example, or multi-platform organizations that are using any combination of Macs, Linux, and Windows machines, is still elusive. You can make the options above work, but none function like a directory. If you want to truly and comprehensively expand your Google Apps user management capabilities, your best bet is a Directory-as-a-Service (DaaS) solution. Announced in July 2015, JumpCloud’s DaaS platform expands Google Apps user management in ways that was never before possible. 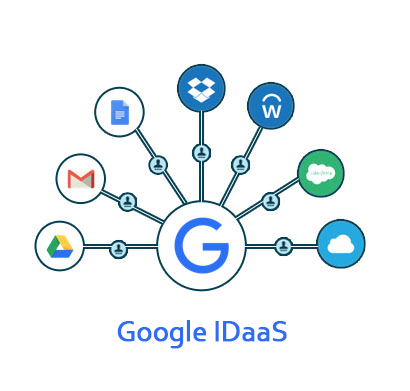 DaaS grants IT admins the ability to seamlessly import and merge Google Apps user accounts into a true, authoritative directory that provisions new accounts and also uses the same credentials employees use for their Google accounts to access nearly every endpoint of your corporate network. Ready to Expand Google Apps? 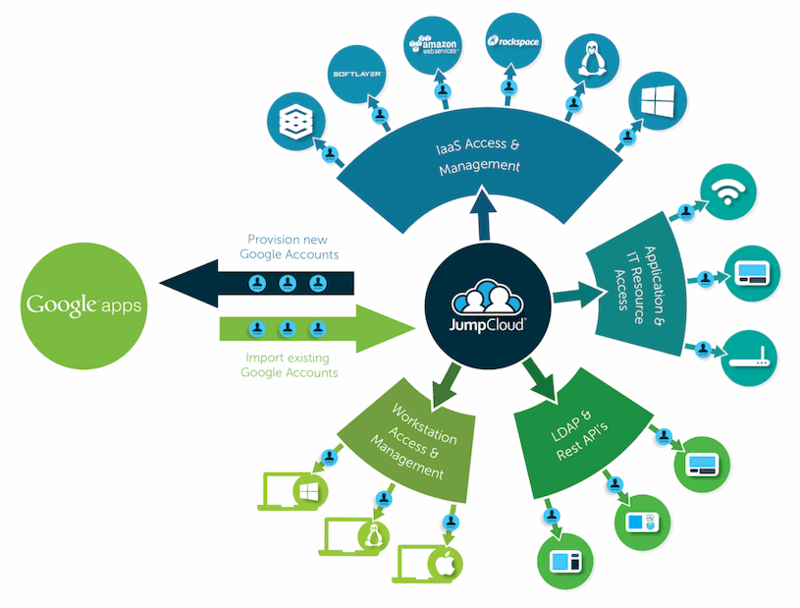 Give JumpCloud a try today with 10 free users. Additional details on our Google Apps User Provisioning and Sync utility can be found here.